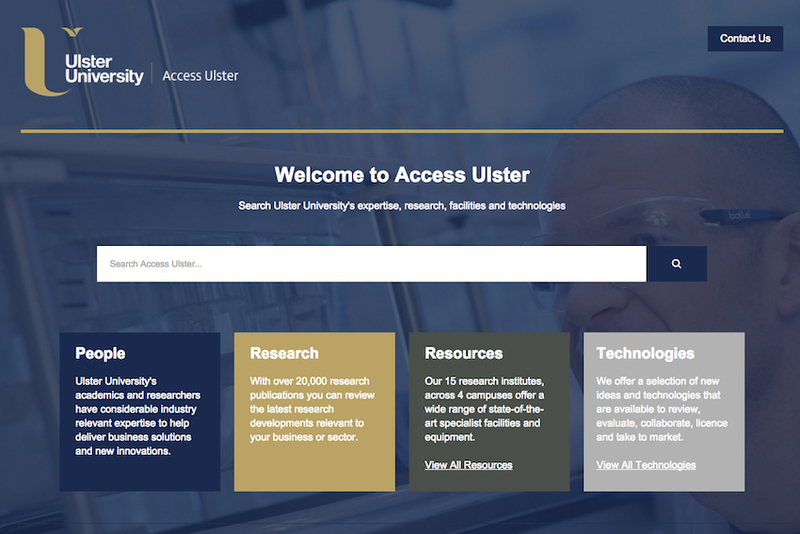 Access Ulster will help increase levels of research and development and inspire creativity within the business and wider community, creating commercial opportunities, employment and export growth. Ulster University has unveiled a unique online portal that will help businesses and entrepreneurs benefit from its world leading research and expertise. The Access Ulster portal was launched by Employment and Learning Minister Dr Stephen Farry at Stormont today. It brings together Ulster University's research, licensing technologies, state-of-the-art facilities and internationally recognised experts in one user-friendly platform. The portal will facilitate greater engagement between the University and the business community, encouraging innovation and collaboration and increasing commercial opportunities. Employment and Learning Minister Dr Stephen Farry said: "Higher education institutions are the foundation of a strong economy and play a vital role in knowledge transfer. "Companies that take advantage of the considerable industry relevant expertise, latest research and cutting-edge technologies that Ulster University has to offer will reap the benefits in terms of business growth and opportunity." Timothy Brundle, Director of Research and Innovation, Ulster University, said: "Research and innovation are key to transforming Northern Ireland's economy into one that is truly knowledge-based and export focused. "At Ulster University our world-leading research and focus on innovation can benefit local companies and give them the edge in global markets. "The new portal will help increase levels of research and development and inspire creativity within the business and wider community, creating commercial opportunities, employment and export growth."